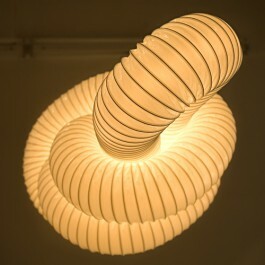 Knot is a limited edition lamp based on standard components combining sanitary ventilation and electricity. 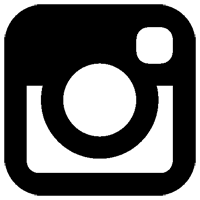 Knot is one continuous line starting and ending in the same point – like an organism attached to the sealing. What makes Knot special is its simplicity, the organic, almost human appearance, and its scale. 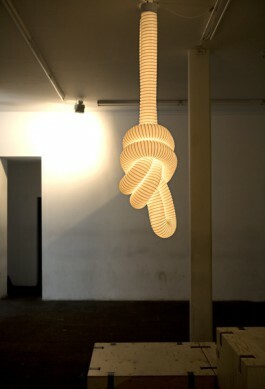 Knot is fitted with a standard LED rope light fixture.